Tyler Johnson, Erik Cernak and Yanni Gourde also tallied, and Nikita Kucherov notched two assists for the Lightning, who won their fourth straight. 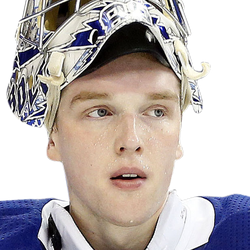 Andrei Vasilevskiy stopped 30 shots and won for the 13 time in his past 14 starts. 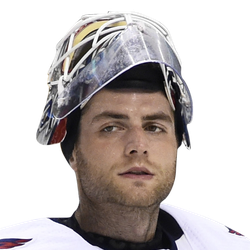 The clubs last faced each other last May 23 when Holtby blanked the Lightning 4-0 in Tampa to win the Eastern Conference Finals in Game 7. He also shut out Tampa Bay in Game 6. The first period Saturday featured a busy stretch of 1:58 that saw the Lightning grab a 2-0 lead but lose a key player in the process. Johnson got in behind Washington's defense and tapped in his 26th goal at 8:35, but a minute later, Capitals gritty right winger Tom Wilson plastered defenseman Mikhail Sergachev into the half boards. Sergachev remained down for a short time, had to be helped off the ice but returned in the second period. Killorn flipped in a bad-angle shot that caromed off Capitals defenseman Dmitry Orlov, stationed in front of Holtby, to make it 2-0 at 10:33 of the first period. After Carlson cut it to 2-1 with his 12th goal less than two minutes later. Killorn added his second of the night by bulling in on defenseman Nick Jensen, playing in his 200th career game, at 15:56 for a 3-1 edge. Ovechkin zipped in a rebound on the power play for his 47th goal at 7:33 of the middle period to make it 3-2. Cernak provided some breathing room when he wristed in his fourth goal at 2:45 of the third period, but Ovechkin added his second with 7:04 left. Killorn notched his hat trick into an empty net with 47 seconds remaining, and Gourde added a second empty-netter in the last seconds.